Dr E.A. 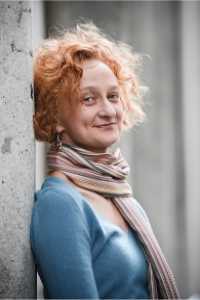 Buettner (1967) has been appointed professor of Modern History at the University of Amsterdam’s (UvA) Faculty of Humanities (FGw). Elizabeth Buettner’s research centres on British imperial, social and cultural history since the late nineteenth century along with other European nations’ histories of late colonialism, decolonisation and their domestic ramifications. She is currently completing a book entitled Europe After Empire: Decolonization, Society and Culture that examines British, French, Dutch, Belgian and Portuguese histories of coming to terms with the end of empires after the Second World War, focusing on the domestic impact of decolonisation, postcolonial migration, the emergence of contemporary multicultural societies and selective memories of empire. In the coming years she looks forward to expanding upon previous research on postcolonial South Asian migration and cultures in diaspora, placing South Asians in Britain within wider transnational contexts.